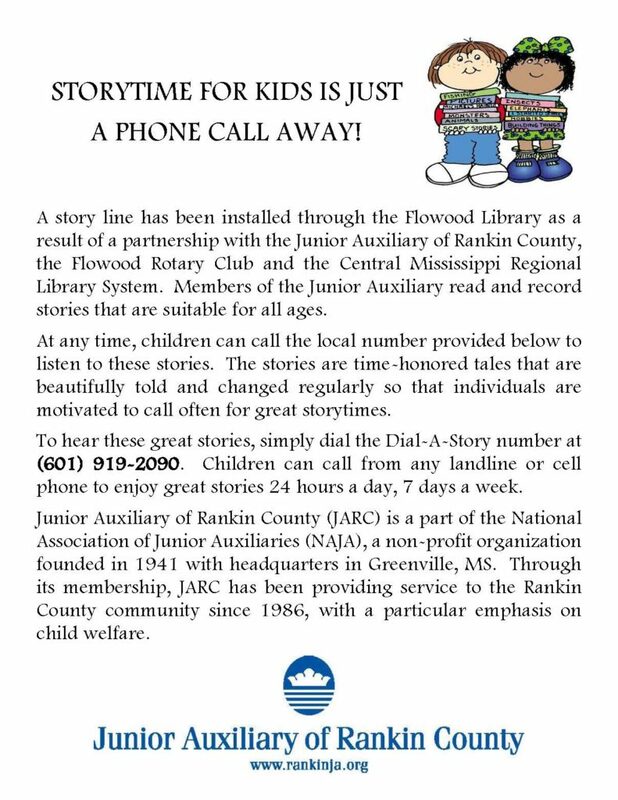 Throughout the year, JARC members serving this project narrate various stories via the Dial-A-Story line, which is also sponsored by the Flowood Rotary Club, the Rankin County Rotary Club and the Flowood Library. More information is provided below. 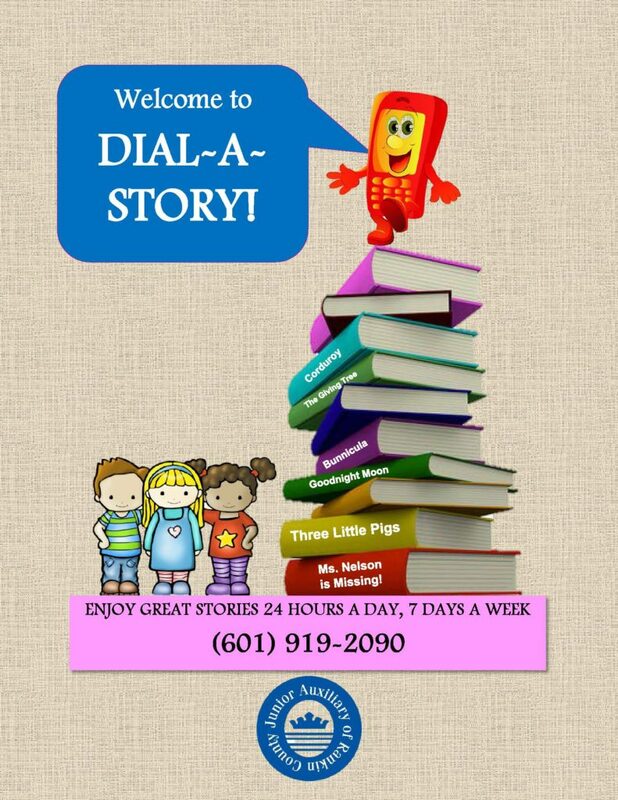 Children can call anytime to listen.